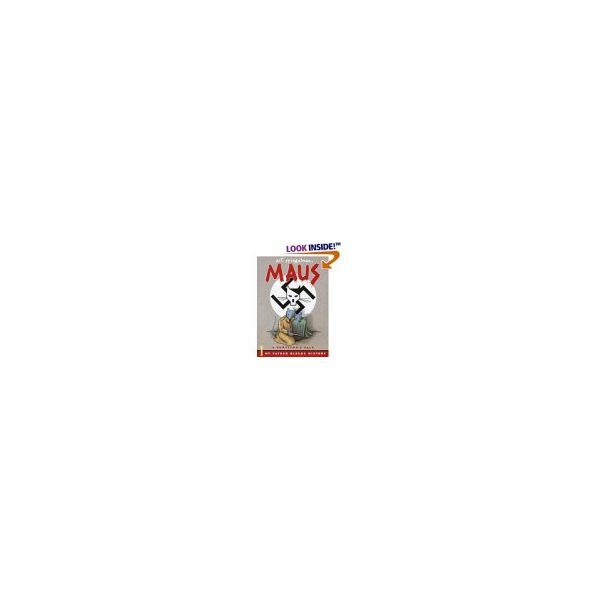 MAUS: A Survivor’s Tale, by Art Spiegelman, is the true story of Art’s father and mother’s struggle to survive at Auschwitz during World War II. The graphic novel is similar to a comic book format. The difference is that MAUS is a true story told by Art, a second generation survivor. MAUS is 160 pages long. It was written in 1986 when Art’s father was failing. Art wanted to write the story before his father died. For the average reader, the book can be completed in one to two hours. For the challenged reader, it will take three to four hours or longer. The success is simple. Challenged readers love the book. They will read the whole book and ask for MAUS II, which continues the story. They feel accomplishment and hunger for more. Have the students read the novel in class. You will be surprised how quiet the room becomes when special education students discover the joy of reading. This is a book for juniors or seniors due to the content. If you have block scheduling, so class periods are long, plan on 50 to 60 minutes of silent reading. That’s right. The students don’t want to put the book down. Prepare the students for the story by doing background on the Holocaust. Actually, this is a great book to use in a history class or a history/English class. Students need plenty of preparation with the history. Otherwise, they will have difficulty with the understanding of the Nazis. In the story, Jewish people are mice and the Nazis are cats. This is an excellent book to use for simplistic studies on symbolism, as well. Prepare the students for reading a graphic style novel. Surprisingly, many students are not familiar with comic books, so they don’t understand how to read the conversation and how to follow the graphics. Use discussion. This book is great to talk about father and son relationships, internal conflict, the generation gap, stereotyping, and of course the history of the Holocaust. There is a plethora of subject material to make this a great literature or history unit. Check out MAUS Resources for more ideas. Can you imagine being fifteen and reading at the third grade level? Many special education children are challenged readers because of learning disabilities or mental handicaps. You can help them find a love of reading by discovering their interests, knowing their reading level, and guiding them.